First and foremost we are both animal lovers. Though much of our experience has been with dogs over the years, we have recently had the good fortune of having a cat added to our family. Our daughter adopted an orange tabby, Leo, and he often comes to stay with us when she is traveling! He is quite the independent one, though definitely prefers having company around, as most loved pets do! We have always had dogs throughout our lives, and just recently lost our sweet Sasha, a large black lab mix. We have had several caring friends who always helped watch her and our other dogs and we think home-care such a better arrangement than pets being carted off to strange and uncaring kennels...way too stressful. We enjoy traveling and experiencing other areas of the country, preferably away from tourist traps. Now that our daughters are grown, we would like to get away more and thought this would be an ideal way to do it...for both parties. You will benefit by having a conscientious couple to watch over your home and pets and we will benefit by intimately experiencing a new area of the country and loving and enjoying your pets. We are currently pet-less, after having pets for over 40 years...and feeling that void ever so much!! We also love the outdoors, gardening, hiking, walking, reading, symphony, theater performances and are both avid tennis players. My husband is a huge soccer fan and loves to watch both American football and European "football". 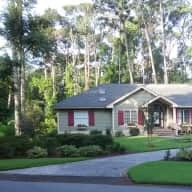 We live in a neighborhood outside the city of Atlanta, Ga. We have travel privileges with a major airline so combining that with house sitting makes for a wonderful mix! Add pets to that and it's a match made in heaven! Unfortunately we will not be able to give any serious consideration to pet sitting without first viewing pictures of the location where we will be staying, our responsibilities and your expectations. I am much more likely to respond to your home/pet sitting needs if there are pictures provided of the house and pets we will be caring for! We will need detailed information regarding your special babies and their needs. And while we are not fearful of pets or farm animals, we cannot accept assignments with aggressive animals. Many thanks for considering entrusting your home and pets to us. As home and pet owners for over 30 years, we bring a wealth of experience with us. I have had dogs my entire life until now and they have always been a special part of my family. I have cared for(and ridden) horses in the past as well, though it's been years ago. We are relatively new to this website and do pet sitting on a sporadic basis depending on our schedules. We are particular about the pet sitting assignments we accept, which is a benefit to you, as we want to ensure it is a good fit for both parties, which makes for happy and satisfied pets and owners!! We have also been helping neighbors and friends for years with their homes and pets. We will take care of your pets and home as though they were our own. We've always considered our dogs as part of our family and will treat your pets just the same...with loving and respectful care. ***Experienced dog owners and have also fostered dogs in the past, as well as volunteered at a local non-profit dog shelter. ***Past experience with horses including feeding and turn out/in for a large horse riding stable. Riding experience as well. ***Experienced cat sitters. We often have our daughter's cat stay with us and he is just wonderful!! ***Experience taking care of a house bunny, who was ever so cute!! You have 1 published endorsement. Gayle and Rob were not only the most thoughtful and responsible couple to take care of our dogs and rabbit, but they were incredible nice and a delight to be with. The watched our home and pets for just about 3 weeks and if the dogs could talk, I know they would say how happy they were. They exercised the dogs daily and cleaned up after our crazy rabbit. They were very responsible with our home in understanding the workings of things in case something were to break or malfunction. They are very organized and clean. Most important is they loved the dogs. Kota , our chocolate lab felt very comfortable in bed with them every night! They took special care with our older lab as he can't do as much anymore. They would make sure he got a shorter walk so he was never left out. And Thumper,the rabbit, is always a hit. He loves to cuddle and has run of our house. They loved his little personality and put up with cleaning up his mess. We were very comfortable with Gayle and Rob and never thought twice while away on vacation. They would text with updates and pictures which was great. We trusted them with our car and although he didn't have to, my car has never been cleaner when we got home. Thanks Rob! I would highly recommend them with your home and pets. Feel free to contact us if you have any questions regarding Gayle and Rob. Contact number provided upon request. Gayle and Rob excel in all aspects of being a sitter or a friend! You could never go wrong choosing them as your trusted sitters. Our pups, Gracie and Tucker, consider them Best Friends and are always so happy to see them, our leaving is immaterial to them. Besides everything being perfect when we return home, there is no guilt about leaving our pups! After several sitting opportunities with Gayle and Rob, they consistently impress . Rob and Gayle are outstanding. They are each very serious about their committment to house and pet sit as we exchanged several emails with questions to make certain they understood Belle and Stella (likes, dislikes, routines) and feeding procedures (one cat currently has a special diet and hence also the need to keep them separate for feeding). We even updated our welcome guide document based on this correspondence! Equally important, Belle and Stella are new to our family with Belle coming from animal rescue after abuse so we definitely wanted to be sure she was allowed her space. We cannot state enough how amazing our cats were when we returned. 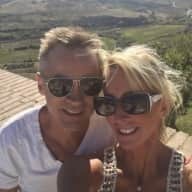 Of course our home was also in great shape but trusted pet sitters Rob and Gayle are the high standard...and we have already confirmed another house sit with them! Gayle and Rob are just the best! If you are in need of a house/pet sitter, look no further! They are always Friendly, conscientious, communicative, and reliable. You can count on your pets being the center of their attention and thoroughly exercised and loved up while you are away. Your house will be spotless and you will have new friends! Total no worry vacation for you! Thank you again. Gayle and Rob! I have known Gayle and her family for many years. They were foster volunteers for the rescue group I ran. Gayle is one of those people that you don't have to waste one minute of your time worrying about her care-taking. Dogs in her care were safe, comfortable and very loved. I would never hesitate to have Gayle sit for my doggy babies! I have know Gayle for 19 years. I can honestly say that she is one of the most trustworthy and reliable people I know. We have both been dog owners and have taken turns lending each other a hand in dog/house sitting. We both agree that our animals are much happier at home while their owners are away, than having to stay in a kennel somewhere. My dogs LOVE Gayle. Just the sound of her voice sends them in a frenzy of excitement. Reason being, is that Gayle has that special "extra" touch; a true love for them. She showers them with lots of attention every time she is around. She is also very aware of their needs and has noticed on occasion changes in their demendor and/or whether they might not be feeling well and does not hesitate to contact us with questions. Which is very comforting to know. 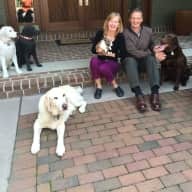 As an example of the type of person Gayle is I also want to make mention that several years ago she and I were involved with a well-known dog rescue organization. Our homes were both houses for their foster parenting in which we took care of litters of puppies so they would not be exposed to diseases from the adult dogs in the shelter. This program was very rewarding but a highly time-consuming commitment. With the puppies, they were extremely young and most of the time would need to be fed in some cases every 2-3 hours and of course cleaning their area and taking them out to play and potty was continuous. There was one occasion that I ended up with a litter of puppies who had contracted Parvo, an extremely painful and highly deadly disease. Gayle was here with me every step of the way. She and I nursed those puppies day and night for weeks as they struggled through the course of the sickness. 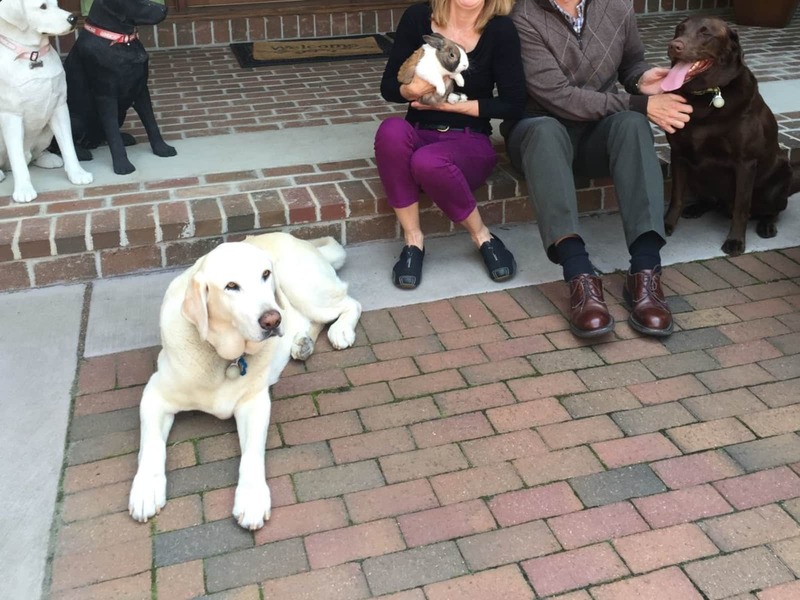 Gayle has a compassionate heart for animals and I can truly say with confidence that your pets would be in the best of hands. 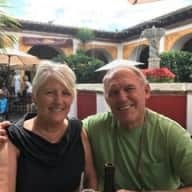 *Organized: Over the years Gayle has been in charge of several organized groups (volunteer in school sports and activities, organizing sport banquets, captain of tennis teams, etc.). She would definitely score a 5. *self-sufficient: She is very independent. *tidy: Her home and yard are beautiful. She is a very clean and tidy person. *pet-care: Hands down....top-rated in taking care of your loved pets. Ms. Haskins stayed at my house during the month of December while my family went on vacation. We have a 13 year old Boxer and a home that is less than three years old. Lola, our boxer, will always be considered my 'first child'. I don't leave her with anyone but as she has aged, I find it easier on her to leave her at home. We have tried an individual who would come in three times a day to walk her and let her out. But I found that she was much more at ease when we came home after Gayle stayed with her. It was nice knowing that someone was in the house, watching over it all. Gayle was the perfect candidate. She has had several dogs, loves to travel and is physically active. It will be my first choice in the future.